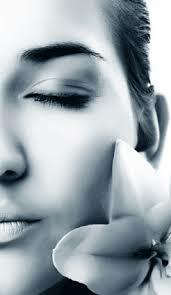 They are used to resurface of the skin, allowing healthier, smoother new skin to grow in its place. Glycolic acid is one of the naturally occurring fruit acids derived from sugar cane. The active ingredients of fruit acids when purified are called “Alpha Hydroxy Acids” (AHA). Glycolic acid works on the epidermis, the upper layer of the skin. When applied to the skin, the acid lifts and removes dead cells to reveal skin underneath that is smoother, fresher, and healthier looking. Salicylic Acid is a beta hydroxy acid that is derived from the bark of the willow tree. Beta hydroxy acids have a bigger molecule as opposed to their cousin – (AHA) alpha hydroxy acids. The larger molecule size keeps the beta hydroxy acid on the surface of the skin allowing it to more effectively penetrate and exfoliate within clogged pores and this action makes it perfect for use on acne, acne-prone skin & clogged pores. A gentle deep exfoliating &skin brightening peel made with natural pineapple and papaya enzymes to smooth away dullness and make complexion more healthy, glowing and vibrant. Can be used on all skin types. Pumpkin contains over 100 beneficial nutrients.. This peel transforms dull, lifeless complexions into freshly rejuvinated skins. Safe to use on all skin types .